Moving to another state is a very complicated task. It..
Moving to another state is a very complicated task. It takes a lot of time when it comes to planning all the future moves and tasks, which is making it a bit more complex and time consuming. The good news is that there are a couple advices which can help you pass through a process of this kind easier than it will be if you consider taking care about all the things on your own. Along this article, first of all, we will tell you some tips over the starting point of a process of such a matter, and explain you why it is better to consider working with professionals. Also, we will give you some tips helping you to get everything done at a lower cost. If you’ve decided to do all the things by yourself besides this advice, you can click here and learn from the experienced people. The most important part of dealing with an activity of this kind is the time spent on managing the things out before you do the actual task. First of all, you will need to plan your budget, considering the money you will need for traveling to your new location, the fist starting budget for your rent and some extra money which will provide you insurance that you will be in pursuit of all the necessities such as food and personal care. If you need some additional help when making a budget of this kind, the following link may give you some hints https://en.wikipedia.org/wiki/Personal_budget. Once you are done with this part of the budget, you should continue towards planning some money for additional costs while moving to the other state. 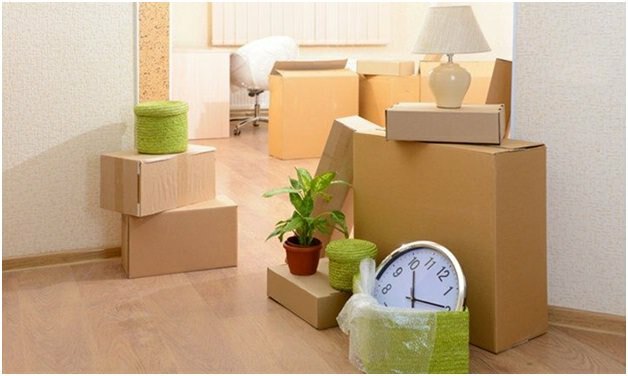 Most of the people are deciding to take some parts of their furniture or the whole home interior with them to the other state, especially if the apartment they have rented or bought comes empty, so that they won’t spend extra money over buying new things. This means that you will need to do some additional planning, look for certain offers and be familiar with the price on average. Why it is better to hire a company, rather than to do it by yourself? First of all, this is a complex task which involves a lot of physical activity and packaging skills, in order to be sure that everything will be safe during the trip inside the van. This means that it can’t work simply by renting a van, managing the space inside and moving all the inventory from one state to another. It is a complicated task and by that, it requires a professional team which will be in charge for making sure that everything will go as previously planned. When hiring a company, you will sign an agreement which will provide you an insurance that all your storage will be delivered to your new home without any additional problems. And even if a rare activity of this matter happens, the insurance will provide you a guarantee that everything will be paid in the end. If you consider doing it all by yourself, or with a help from your friends, you should be very careful when combining all the objects inside the boxes, and treat the breakable items with a lot of care, or presumably wrapping them with clothes around. This will give you a certain amortization if anything occurs. But however, the time spend on arranging everything and the risk factor involved are not enough when comparing it to the effort spend when hiring a team of professionals which will be in charge of the moving services. Many people are making a huge mistake when rushing into finding a company, calling the first one that pops out once you google search the keyword. In order to stay safe and to find a quality service, you must do some further researches that will provide you an insurance towards the company’s quality and professionality. The best way to evaluate your decision is to make a list of the companies that can provide you moving services and to consider reading further reviews from their previous customers. They will speak about their offers more than the person employed there will, but however, you shouldn’t avoid the things said by them as well, since sometimes people can be very subjective when it comes to a service of this kind. Problems such as this occur when the client doesn’t have objective expectation considering the things offered in the agreement, so it is very important that you read it very carefully. Once you are done, you can find out of state movers that will provide you professional collaboration, such as the ones available on 9Kilo moving. Once you’ve chosen the best one, you will need to call them and combine all the offers. Some of them may offer you more space for the price you’ve considered paying and others may guarantee you better insurance with less storage place available, so everything depends on your needs. But keep in mind that before you’ve decided to call the providers, you should be familiar with the average size of the things you want to deport from one place to another, and have at least an average number of boxes needed in order to store everything inside. Moving to another state is a very complex task and it can be way harder than it sounds at first. In order to take care about everything by spending less money, you should be extra careful when arranging all the things up. First of all, you should make a list of all the quality companies that can offer you a service of this kind and act wise when hiring one. Reading some reviews can help you get informed over the quality of their service and provide you an isurance that everything will be perfectly done.